I wanted to show you my favorite daily hairstyle of the past couple of weeks! On schooldays I like to get ready fast in the mornings. I don't want to spend hours on my hair and make up because that means I have to get up at like 5 am (and 7 am is already too early for me :D). 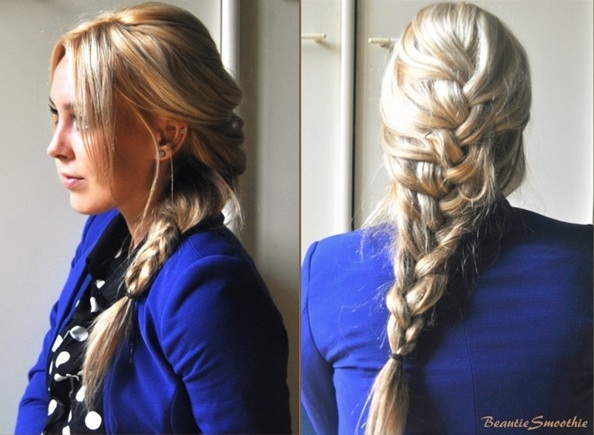 That is why I often opt for a simple braided hairstyle. The one I wore today is just a classic french braid where I pull out some hair strands to give it a more messy and fun look. I also pull on the braided parts, to make the three braided strands look more thick and wide, also for a more casual look. How do you wear your hair on an everyday base?